Before becoming one of today's most intriguing and innovative mystery writers, Kate Wilhelm was a leading writer of science fiction, acclaimed for classics like The Infinity Box and The Clewiston Test. Now one of her most famous novels returns to print, the spellbinding story of an isolated post-holocaust community determined to preserve itself, through a perilous experiment in cloning. Sweeping, dramatic, rich with humanity, and rigorous in its science, Where Later the Sweet Birds Sang is widely regarded as a high point of both humanistic and "hard" SF, and won SF's Hugo Award and Locus Award on its first publication. It is as compelling today as it was then. 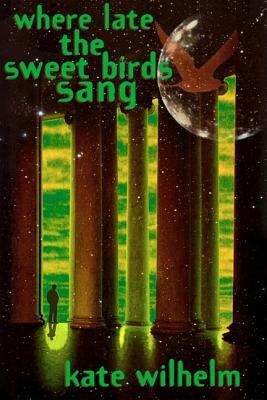 Where Late the Sweet Birds Sang is the winner of the 1977 Hugo Award for Best Novel. Kate Wilhelm (1928-2018) is the author of dozens of novels and short-story collections. Among them are the science fiction classic Where Late the Sweet Birds Sang, the Constance and Charlie mysteries, and The Good Children. The recipient of many honors--the Prix Apollo, the Hugo Award, three Nebula Awards, and the Kurd Lasswitz Award--Ms. Wilhelm, along with her husband, Damon Knight, received an honorary Doctor of Humanities degree from Michigan State University in recognition of their many years as instructors for the Clarion workshop in Fantasy and Science Fiction. Born in Ohio and raised in Kentucky, she lived in Eugene, Oregon.